So I’m a green freak, but Berry Hill’s (360 & Westlake Dr in Austin) breakfast taco packaging is over the top by any standards. They make McDonald’s DLT burger box look like a Prius next to this Hummer of a to-go order. One would hope that tacos protected by tin foil and Styrofoam and accompanied by a whole utensil set and chips would be a culinary masterpiece. Sorry, they’re not even that good. If you want great breakfast tacos then go to Texas Honey Ham on Bee Cave. 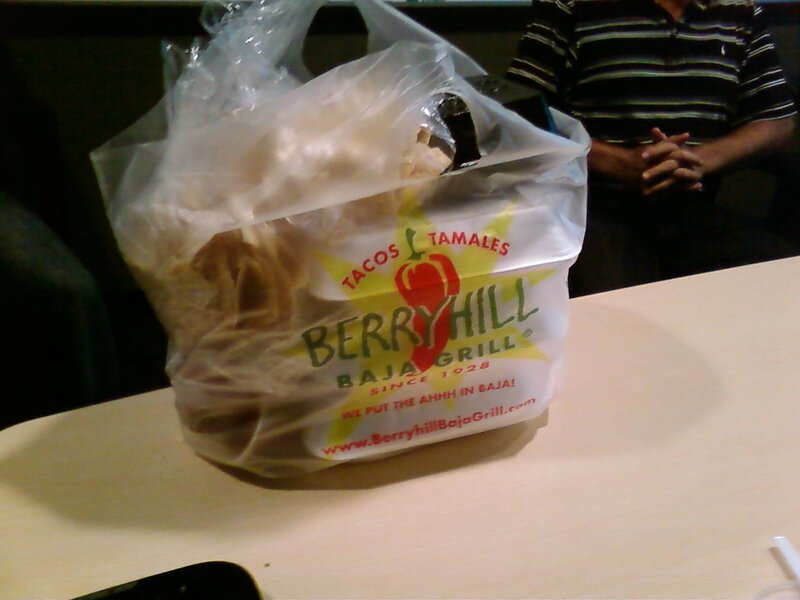 Those tacos are AWESOME and appropriately packaged. 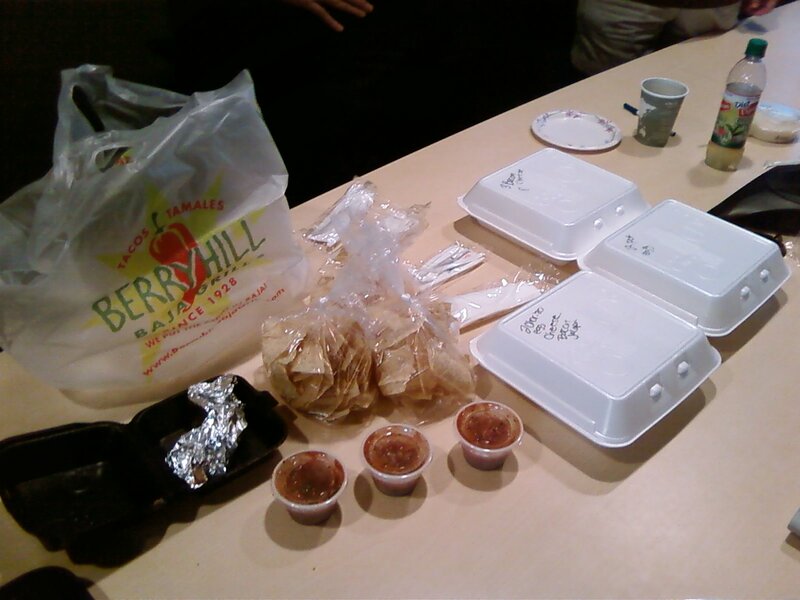 That is a lot of packaging for 6 tacos! Looks like a lot of food, but is it? No. The picture below is not a packaging rant because I’m not sure which way makes sense. Ideally, the plastic box would be reusable. We could buy the appropriately packaged cheese and restore it in the convenient box. The strange part is that the price is identical. I would expect that the more durable package costs something extra. This confirms that retail pricing is not logical – people buy on impression and instinct. More questionable packaging? 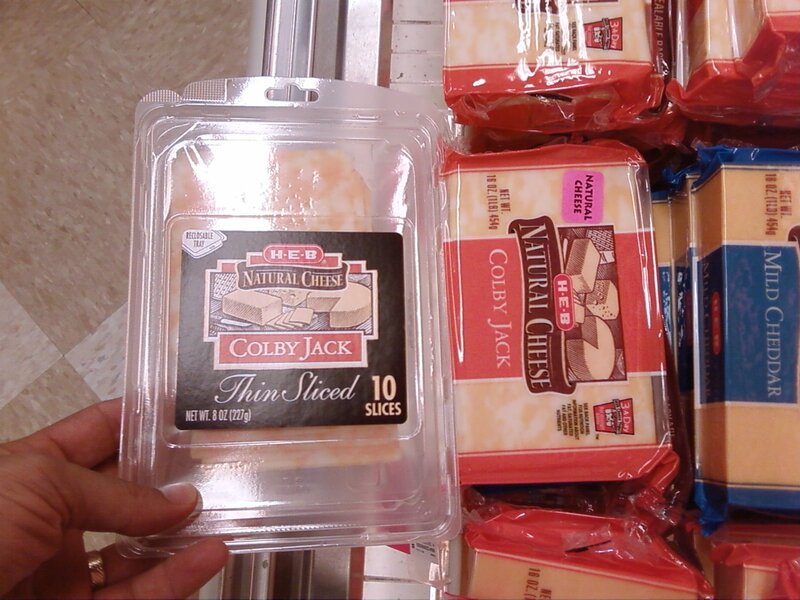 Same amount of cheese, but lots more plastic. My awesome, wonderful, thoughtful, considerate, blog reading mother-in-law bought me a Kindle this summer. She also bought Laura a Sony eBook Reader so I’ll do a comparison post later. 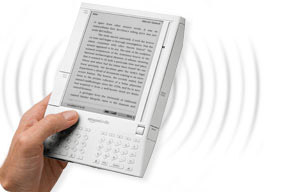 The short version – I recommend getting a Kindle ($360 from Amazon) if you like to read. Anyway, I’ve been using the reader and starting to enjoy the benefits and discount the apparent disadvantages. 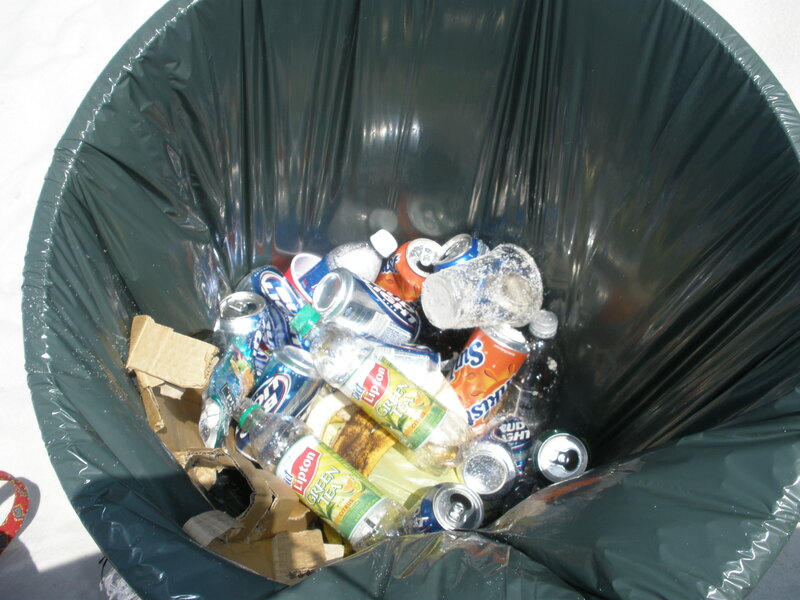 eBooks are generally 50% less (65% if you factor in shipping) and there is materials or delivery waste. So theoretically, they should have a smaller environmental impact. I’m not sure that a electronic gadget with a 3 year life expectancy is really better than a book with a 100 year shelf life. Especially if it’s hard to loan/borrow your eBooks. Our home selves are bursting with great (and not-so-great) reads. you can get book samples and “browse” books before you buy them. If you like the sample, just click buy on the last page and keep reading. It’s that fast. Things I should like, but have not tried: it can play music, show photos, plus subscribe to newspapers, magazines, and blogs (this is a pay thing). Update 8/13: read the comments to hear about FeedBooks! They rock. Repairs more costly than replacement?! We don’t make things that last and we don’t make things easy to fix. 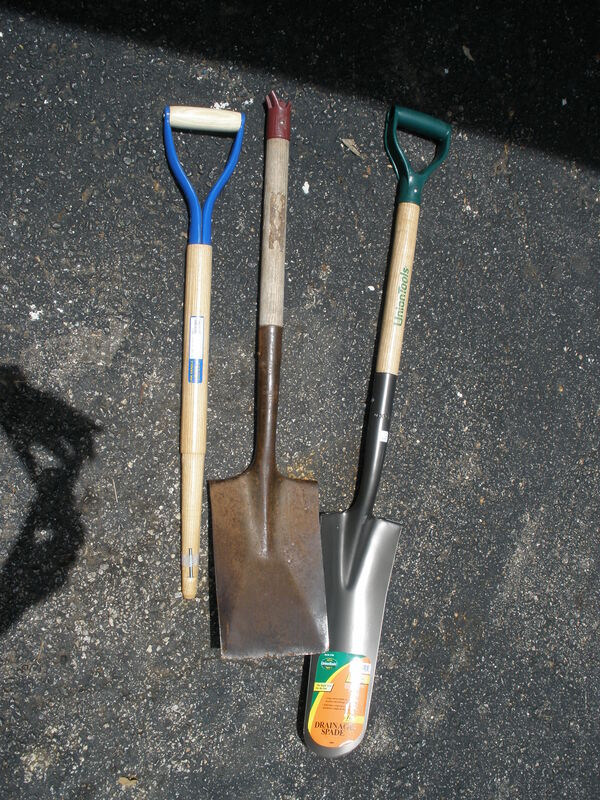 I got my green geek on and decided to fix, not replace, my broken shovel. Getting a metal replacement handle was my only option, but it cost nearly as much ($15) a whole new plastic handle shovel ($20). Replacing it took about 10 minutes. The other shovel I bought only came with a plastic handle. Our well loved and perfectly functional Roomba has been suffering from battery age. Unfortunately, iRobot is charging about 50% of the replacement price ($69 vs $150) just for a new battery (see buying tip below). I was choking about the cost and found a nice Roomba hack site suggesting that the batteries were just C-cell NiMh and could be easily replaced. Even better, I found a vendor with a $30 DIY battery replacement kit that included the required triangle head screw driver. Woo Hoo! Instructions require a little instructional soldering for my 10 year old. Extra bonus! I just wish our products were built to be more sustainable. Better link to Story of Stuff again. Note: our usage of the Roomba requires NONE of the fancy features they they up-up-upsell to unsuspecting buyers. For our usage, scheduling is done with the (cleverly marked) start button, virtual walls are replaced by (gasp) doors, and we (groan) carry the handy robot back for recharging. I highly recommend buying a very base model and skipping all the extras. Laura was busy today getting lots of Green Karma. She’s reclaiming our house from clutter, or, in Laura speak, improving our ch’i. We’re also on a deadline because carpet cleaners are arriving soon to complete the removal of the aromatic reminders of the spray stray cat we housed for 2 weeks. De-cluttering for us involves aggressive freecycling. Freecycle is this awesome community that we’ve been using for a couple of years. It’s sort of like Craig’s List, but goods are free. 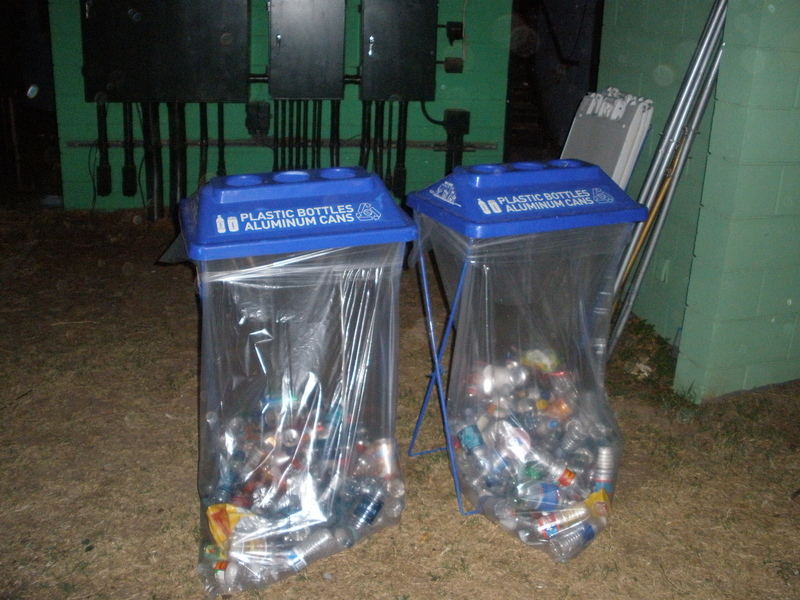 The concept to recycle your junk to someone who can use it, gratis. We’ve freecycled lots of things including a busted mosquito breeding hot tub, crawl space shutters, a car eating futon, and (today) lots of out-grown toys. I highly recommend Freecycle. It’s a great way to keep your junk out of the junk yard. 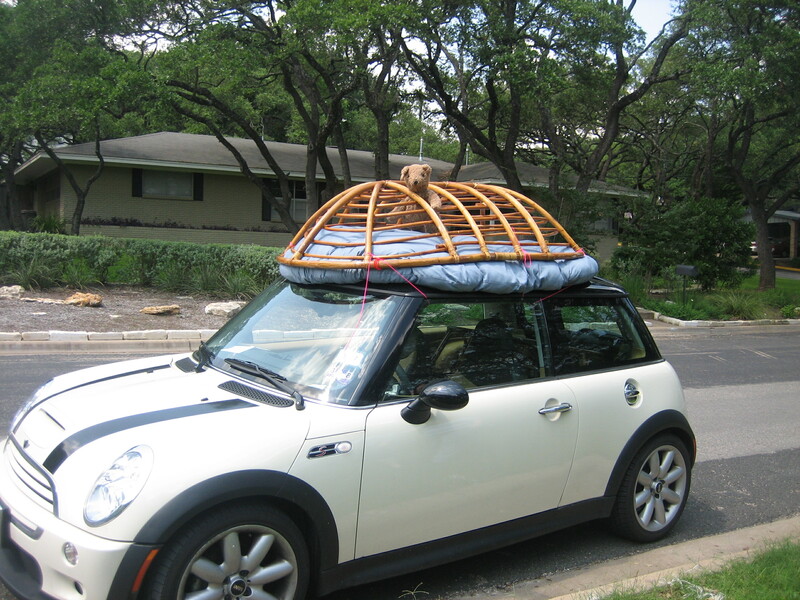 Most of the items Laura posts there are picked up from our house in just hours.